In 2002 I began to assemble a team of experts in many disciplines - industry veterans with a broad range of experience, with different skill sets in multiple disciplines, who bring a strong balance of real-world insight and strategy-led systems improvement. Pulling together as a unified team, we can deliver what the client needs. The key driver is passion. At Strategex we are passionate about making a difference in organizations. That difference impacts on stakeholders—not only employees and leaders of the organization, but customers and communities. I think most companies believe in being a force for good, but struggle with how to do it. We help them get clarity around their vision, plan how to execute it, and devise a way to measure the results. 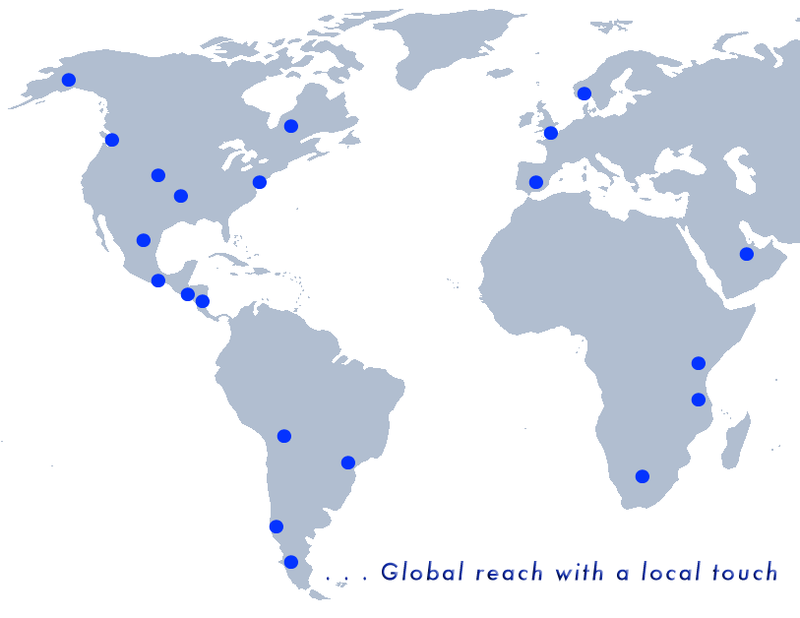 We have people on the ground in five continents, giving us a global reach with a local touch. Andrew Cox (US) is an experienced organizational change professional with 18 years of international consultancy and management expertise and a strong record of achievement in leading and managing strategy-led business performance improvement and implementing complex cross-functional global change initiatives. He has operated out of Latin American, Europe and North America and responsible for leading and supporting clients in radically improving their business performance through disciplined implementation of their strategies. Rachel Cohen. Rachel’s professional journey spans the worlds of high technology software development, non-profit operations, and life & business coaching. For 18 years in Silicon Valley she focused on bridging communication between programmers and marketers to bring digital media products to market. During this time she held roles at both small, start-up companies and corporate giants including Apple Computer, Silicon Graphics and Yahoo. In the new millennium her passions focused her on supporting humanitarian efforts in the non-profit sector. She has also practiced independently as a Life Coach, helping individuals find more alignment with their goals and values. Living in Taos since 2009 has allowed Rachel the opportunity to bring her skills, experience and passions together to support community, innovation and learning. Rachel holds a B.A. in Economics from UC Berkeley. Marlene Delanghe, Human Resources Consultant, is a seasoned advisor with 20+ years of experience working with premier organizations in mining, biotechnology, advisory services, technology and post-secondary institutions to create forward-thinking workplaces to attract and retain top talent. Her services include an array of human resources offerings including recruitment support, management development training, employee assessments, employee attraction and retention programs, performance management programs, career development, and outplacement services. Her expertise is based on her understanding of the impact of human dynamics on organizational effectiveness, corporate and individual performance and growth and transformation. Known as a superior relationship manager, her service and results-orientation has had a major and measureable impact on the ability of organizations to develop and grow their people. Robyn McCulloch, MS, PCC, MSC, CHIC, is Founder & Principal of The Confluence LLC, a global boutique company founded to cultivate enlightened powerful leaders in communities and organizations. Robyn's expertise includes executive coaching, leadership presence, emotional competence, organizational transformation, and engaged facilitation. Her skillful integration of embodied leadership practices steeped in appreciative intelligence and interpersonal neurobiology results in a unique approach to sustainable change for revitalizing teams, facilitating action-learning processes or mobilizing whole systems in participant-led change. She has worked effectively in multiple cultural contexts with executives, high-performing teams, university students, government officials, social entrepreneurs, environmental advocates, indigenous people councils and small business leaders in Southeast Asia, Europe, East Africa, and North, Central & South America. Robyn's qualifications include a Master’s degree in Recreation Administration from CSU. She is trained and certified as an Executive and Organizational Coach (Hudson Institute), a Master Somatic Coach (Strozzi Institute) and also has certifications in SOCIAL STYLE and Versatility (TRACOM); Leadership Assessment Instrument (Linkage’s Global Institute for Leadership Development); FEBI (Focus Energy Balance Indicator™ Focus Leadership); CMM Solutions (Coordinated Management of Meaning); and Precision Questioning + Answering™ (Vervago). David Mitchell, PhD is nationally recognized as a leadership coach. His 35-year career includes coaching and organizational improvement projects for companies as large as $12B in annual revenue. Typical assignments include coaching for accelerate next level development and alignment coaching for leaders challenged in their current role. David has effectively served as CEO for two organizations, as a licensed psychologist and a full professor at the graduate university level. From this large and varied experience, David offers content knowledge as well as leadership coaching and consultation. Additional skills include facilitation of team for higher effectiveness, strategic planning and partnering. Dr. Axel Meierhoefer has a PhD in Leadership and a Master’s Degree in Organizational Management. He completed a 22 year career as an aviator in the Air Force, followed by executive experience in the IT industry and then founded his first company. By now he has evolved into a multi-entrepreneur, providing services in the fields of facilitation, Talent & Leadership development, instructional design, executive coaching. Clients span from small business and their teams to Fortune 100 clients like Merck, State Farm, Boeing, Verizon, and Johnson & Johnson. Axel invented an experiential learning approach called “Innovation Mapping” and has a growing team of experts available across the globe that allows him and his companies to scale to the desires and needs of small start-ups all the way to multi-national, global players and government agencies. Kelly Sullivan, SPHR is a strategic consultant, trainer, and catalyst for change with 18+ years’ experience working with manufacturers, universities, service-sector businesses and non-profit organizations to help them harness the potential of their people. As an organizational change professional, Kelly’s expertise lies in employee development, skill building, executing strategy, enhancing leadership capability, improve collaboration and cultivating customer relationships; all leading to gains in key business metrics. In addition to her work as a consultant, Kelly has over 15 years of experience as a human resource practitioner, responsible for employee relations, recruiting and selection, compensation and benefits administration, performance management, executive coaching and team development. Kelly is a certified MBTI facilitator and a member of the Society for Human Resource Management. Paul Ward, PhD, is senior management consultant with more than 25 years of international experience in transforming performance and culture. Working with leaders and leadership teams at all levels of organizations in Europe and the Americas, Paul designs and facilitates high-impact transformative processes and events. As a master facilitator and leadership coach, Paul enables leaders to clarify their intent, transform performance and culture, and achieve their goals. Paul is also a member of the online faculty at University of Phoenix, facilitating doctoral learners through the Architecture of Leadership course and mentoring students through the dissertation process. Jose Luis Camacho Padilla José Luis (MX) has 13 years of experience in business control and performance improvement consultancy related projects in more than fifteen industries across three continents. By coaching and training team management members, Jose Luis helps firms maximize output yields and implement robust yet simple management systems that increase overall business profitability. Ian Conradie has 18 years of experience in Management Consulting and Forestry. He has implemented focused strategies and tactics at different levels to improve key indicators such as profit, sales, due-date-performance, availability of products, optimal inventory levels, inventory turns, etc. He has worked on three continents in many different business areas including: retail, distribution, manufacturing, sales, projects and marketing. Ian has a B. Sc. and B. Accounting degree from the University of Stellenbosh, South Africa. He also holds a M.S. degree from the University of Georgia, USA and is a certified Theory of Constraints (TOC) Jonah from the Goldratt Institute (USA). TOC is a problem solving and management philosophy. Thomas Deger (EMEA) is a dedicated Management Consultant with more than 15 years of international experience across many industry sectors in Europe, Middle East, Africa and the Americas in shaping effective high-performance organizations. He has helped the top teams of a variety of leading organizations co-create, plan, lead, project manage and deliver complex consulting assignments with transformational strategy, performance and culture change agendas, some of which have received international awards. He has worked in and with many different cultures, from the board room to shop-floor, with front-line staff and hard-edged works councils and helped leaders at all levels deliver exceptional results and improvements that last – in financial results, operational performance as well as in organizational culture. Thomas is also known as an international speaker and author on Strategy Implementation, Supply Chain Management, Operations Management, Continuous Improvement and People Engagement, and holds degrees in Economics & Business Administration and in Automotive & Aeronautical Engineering from the University Of Applied Sciences in Munich/Germany. Dr. Christoph Kuth is a Consultant, Trainer & Coach, with a focus on People & Organizational Development, Lean Transformation and Change, as well as having experience of Project Management in national and international contexts. Christoph lives in the area of Cologne (Germany) and in Antibes (France), is married and has three adult children. He has university degrees in Geophysics and Information Sciences and has participated in many international Management-Development programs. He has served as a lecturer for project and change management at the University of Applied Sciences, FHDW, Paderborn for many years. Christoph has over 20 years experience in leading HR, IT, QM and Change Management functions in global operating, mid-size companies, with a focus on energy, telecommunication and automotive supplier industry. He has played a leading role in several Programme-Management-Offices (PMO). Dr. Kuth is certified as a Moderator, Facilitator, Lean Coach, Trainer and Hay HJA moderator. He is also certified to apply and analyze psychometric tools DISC, OPQ32, Harrison Assessments, PERLS and is a qualified internal auditor ISO/TS and EFQM assessor. Neil Munz-Jones - After a 15 year career in senior roles in manufacturing and retail businesses, Neil moved into consulting in 2005. He is an expert in Strategy Implementation and Continuous Improvement, having used these tools to deliver a turnaround in a manufacturing business that he led during the 1990’s. He runs Strategy Implementation workshops for senior management teams at Divisional and Business Unit level and helps clients implement Continuous Improvement programmes via training courses and sessions on Train the Trainer and Facilitation Skills. He has extensive experience in global corporations in sectors including Mining, Oil and Gas and FMCG. He speaks English, French, Spanish and German and has delivered programmes in Africa and North, Central and South America, as well as many European countries. In addition to his work with Strategex Neil works with retail clients on a variety of strategic and organisational issues. Neil has an MBA from INSEAD and a BA (Hons) from Oxford University. He is also the author of The Reluctant Networker and is a regular speaker on networking. Jillian Exton, a versatile and dependable Human Resource/Business Analyst/Management Consultant with 20 years of extensive experience in a variety of business and service environments. Proven abilities in the areas of Strategic Planning, Organisational Development, Leadership/Management, Change Management, Recruitment and Mobilisation, Customer Service, Training and Development, Performance Management, Process Reengineering, System and Program and Policy Implementations. Primarily Jillian has previously managed regional and global HR/OD/OE projects for global mining and coal gas companies. Jillian is a proactive, creative thinker, committed to improving organisational effectiveness and enhancing productivity. She also processes strong communication skills that facilitate a high level of collaboration among management and co-workers in a team-oriented environment. Mark Franklin - With over 15 years in consulting and a decade of mining experience, Mark is a highly competent management consultant. He has worked with many international mining companies such as BHPBilliton, Barrick and Newmont. He has profound knowledge in the areas of performance improvement via analysis and implementation of Management Systems. Mark has worked with Mining operations in Australia, Canada, USA, Chile, Peru, Ghana and Papua New Guinea. During a 3 year sabbatical from consulting, he headed up Placer Dome’s (now Barrick) Business Performance Management (BPM) section at Vancouver corporate office in 2005, led their SAP deployment in 2004, preceded by managing a Tech Services Dept in PNG. Furthermore, he brings with him an in-depth understanding of leading-edge methods from 8 years in the automotive manufacturing sector. Charles Carroll has worked as an industrial engineer and also in line management positions both in the UK and South Africa. He was Manufacturing Director with Anglo Dutch, the office furniture company, and a Director with the National Productivity Institute. During his consultancy career he has carried out projects in South Africa, Namibia, Zimbabwe, Chile, Argentina, Guyana, US, Ghana and the UK. The projects have covered a wide range of industries and involved operational, sales, administration and strategic functions within the client companies. Werner Mietz has been a Management Consultant for the last 33 years, having worked in most known industry in Europe, USA, Canada and Southern Africa. He has substantial experience, gained in Southern Africa, in the mining industry, where he has been working for the last 10 years. All the projects he was involved in, have generated improvements in Productivity, cost reductions and has helped all companies in achieving their desired changes, by applying the change management approach. 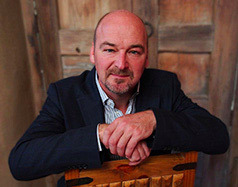 Paul James is a trainer in operational excellence tools and management and leadership skills. He has worked in over 40 countries on five continents for clients such as Siemens, Atlas Copco, African Barrick Gold, Barclays, Aggreko, Lufthansa and Daimler-Benz. Interaction and participation are the hallmarks of Paul's training. His style encourages managers and leaders to ask themselves questions and learn from their answers. Enter a training room where Paul's students are working, and you will see walls plastered with the delegates' own ideas as well as the training models. You will hear lively debate and challenging discussions. Based in Dubai, Paul travels extensively to clients and has many repeat engagements. Key topics include improvement tools, communication skills, customer experience, negotiating, business writing and business financial simulations. Strategex enjoys truly global representation, with local associates based in North and South America, Australasia, Europe, and Africa, who speak the language and know the culture. Strategex prides itself on the long-term partnership relationships it has built over the years. Key to delivering high quality outcomes for our clients is our ability to create and develop ongoing relationships with experts in different disciplines. These disciplines typically are e- survey development and processing, behavioral assessments and other specialized consulting needs.